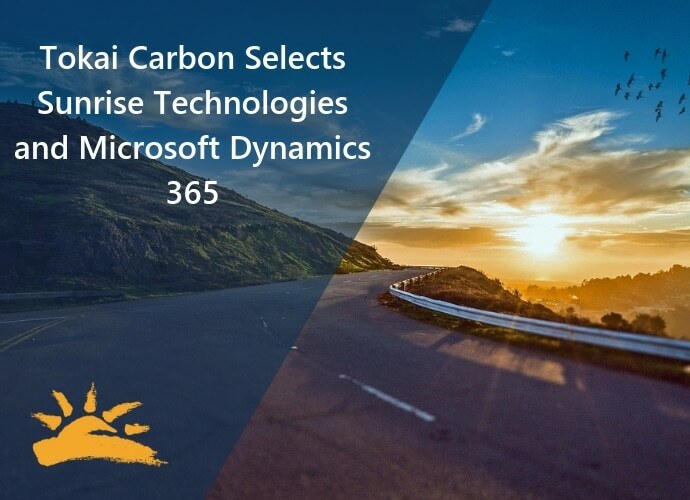 Winston-Salem, NC – Sunrise Technologies, a global provider of Microsoft Dynamics 365 Business Applications and Cloud services, announced today that Tokai Carbon has selected Microsoft Dynamics 365 to run their business and Sunrise as their Dynamics 365 implementation partner. Tokai Carbon manufactures graphite electrodes for the steel industry. Following an acquisition, Tokai executives were looking to implement a cloud-based ERP system, rather than continue with their old on-premise legacy ERP system. Tokai Carbon will implement Microsoft Dynamics 365 for Finance and Operations, Microsoft Dynamics 365 for Sales, and the Sunrise 365® Supply Chain Solution.